So, if you are seeking treatment or advice, or looking to register with our dental practice, do please contact us. We offer a range of cometic treatments including white fillings, crowns and veneers and of course teeth whitening. We also offer facial rejuvenation treatments for lines, wrinkles and lip enhancements, please visiit our cosmetic website www.cumbriaaesthetics.co.uk for more details. Our practice fully complies with the Data Protection Act 1998. It is registered with the Information Commissioner's Office. Our registration number is Z1188261. 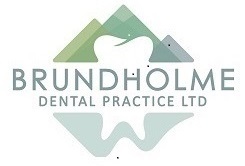 Our practice data controller is brundholme dental practice ltd. To download the ICO guide to data protection please click here.